During Peninsular War of the early 19th century Lieutenant Colonel Sir Charles Holloway became - if not a household name - at least something more than just another anonymous serving officer of the British army in Gibraltar. 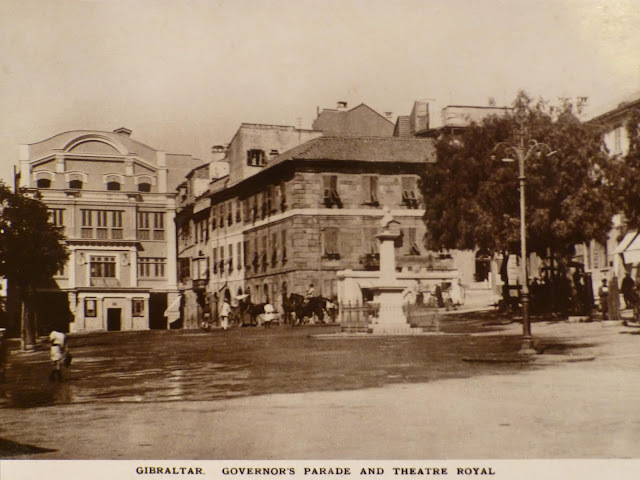 He would make a name for himself to people interested in such esoteric matters both in Gibraltar and in its sister town across the Neutral Ground - La Línea - as the man who supervised the demolition of the Spanish Lines. It was from these imposing fortifications that Gibraltar's neighbouring town of La Línea took its original name of La Línea de la Contravalación. 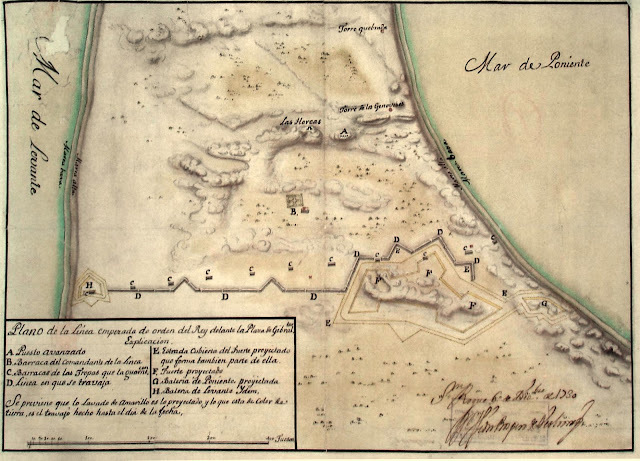 The Line consisted of two major forts on either side of the isthmus - San Felipe on the west and Santa Barbara on the east - joined together by a long walled defensive line which incorporated several small bastions. It was completed in 1735. In January 1810 - with the war in full flow - Napoleon's Marshal Soult launched an attack on Andalucía and was soon in possession of Seville. The Spanish Supreme Junta - who had been using the city as a provisional capital, fled from it and took refuge in Cadiz. In Gibraltar, the relatively new man in charge - Governor Colin Campbell - was a worried man. Cadiz was uncomfortably close to Gibraltar. Campbell is - at least to me - a bit of an enigma. I can find hardly anything of any real interest about him before his appointment as Lieutenant Governor of the Rock - the Duke of Kent was still the absentee titular head - and just a single portrait. What the records do suggest is that he was something of an afterthought for his colonial bosses in London. 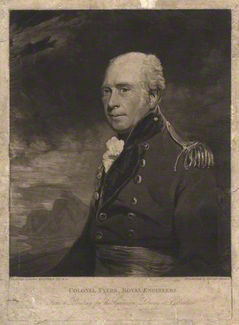 In 1808 one of Campbell's predecessors, Sir Hew Dalrymple, had left the governorship of Gibraltar to take up a disastrous appointment as Commander of the Portuguese Expedition. As somebody once said of him - he seemed to be lacking in confidence . . . or intelligence. . or both. The British historian George Hills tells us that he was known as the "dowager" by his subordinates. 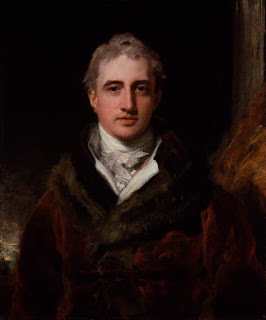 Sir Hew was replaced by James Drummond who lasted 10 months and of whom I know even less that I do of Sir Hew - this despite the fact that this was his second stint as Governor of the place. 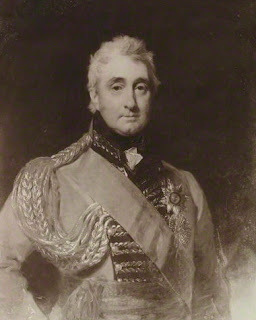 He was replaced by Sir John Craddock who very soon decided that the post of Governor of a small British colony - he was actually given the local title of General of Gibraltar - was unlikely to get him the honours he craved for - this despite some heavy cajoling by Lord Castlereagh - Secretary of State for the Colonies at the time. 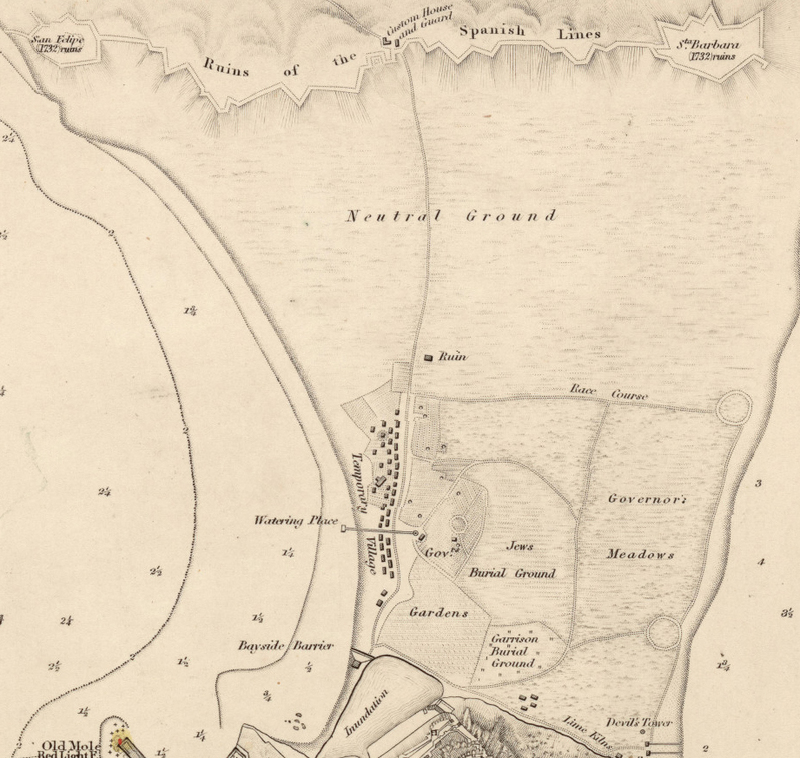 In proposing to you (Craddock) the command at Gibraltar, the time may not be very distant when . . . the eyes of the country be turned, as they were in the year 1782, to Gibraltar . . . where as much solid service may be rendered, and as much glory acquired, as at the head of an army. When Craddock realised that a second Great Siege of Gibraltar was not even remotely in the offing he resigned and took himself off to fresh pastures and out of this particular picture. Two new governors appeared on the scene - albeit temporarily - Major General John Smith RA - for a month and then Major General Sir John Fraser for another. Neither of these appointees left their mark - although the latter had served previously on the Rock as both acting judge advocate and civil judge - so much for the word "civil" in so far as official appointments in Gibraltar were concerned. Curiously a major history of Gibraltar written by William Jackson - himself a modern day ex-governor - has John Frazer - incorrectly I would suggest - identified as Major General Alexander Mackenzie Fraser who apart from having distinguished himself during the Great Siege is not known to have ever taken the reins as either a commander or a Governor of the Rock. By 1810 the French incursion into Andalucia was being viewed with increasing trepidation by the military hierarchy on the Rock. They were particularly worried that the French would take the Campo area and then make use of the Spanish Lines - and attendant forts - in an attempt to take Gibraltar. Campbell was also fearful - if for somewhat irrational reasons - that the local civilian population would side with the French if they were given a chance. Campbell must have known from Castaños that most of the ordnance and stores had been removed from the Lines during 1809 - Castaños had used his own men to carry out the work - and that everything of military value had been shipped elsewhere. 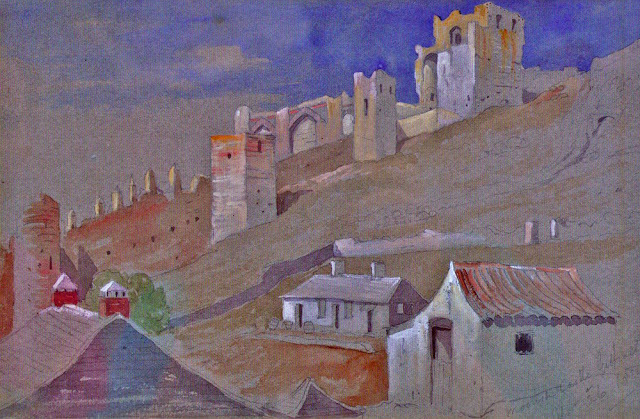 Not surprisingly then, in January of the following year Campbell issued Lieutenant Colonel Sir Charles Holloway Gibraltar's chief engineer with instructions to destroy the Spanish Lines and their various fortifications. But it was during the first decade of the 19th century that Colonel Fyers was succeeded by Charles Holloway who is best known to those like myself with relatively little interest in military engineering, for just two interventions. His connections with Gibraltar run deep. 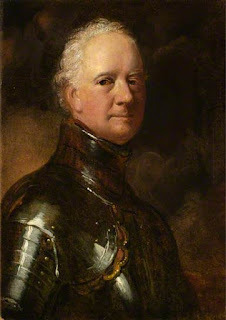 He was born in 1749 and joined the army in 1764 and was employed in the Tower of London in the military Branch of the Ordnance. 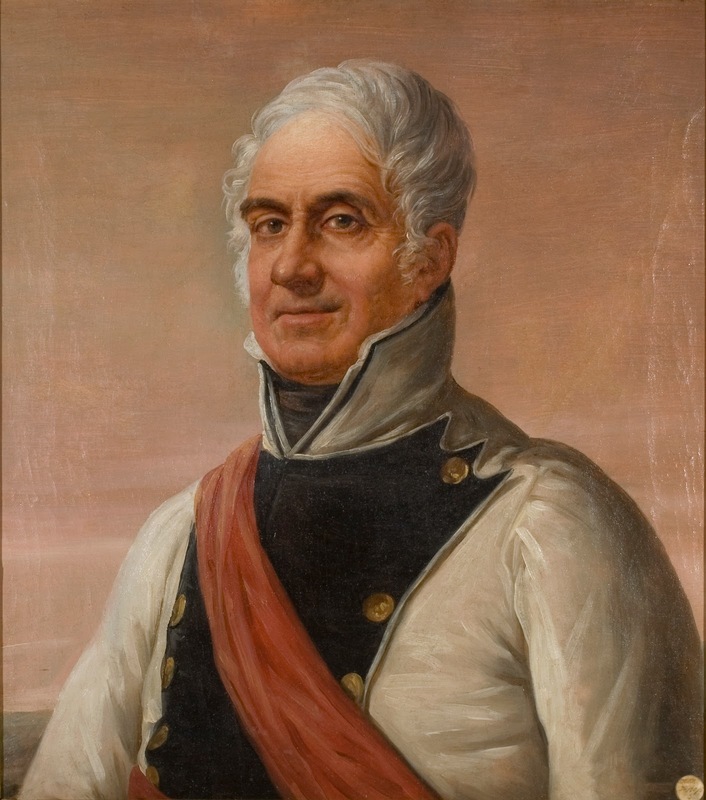 In 1773 he was made an assistant to the commanding Engineer at Portsmouth. 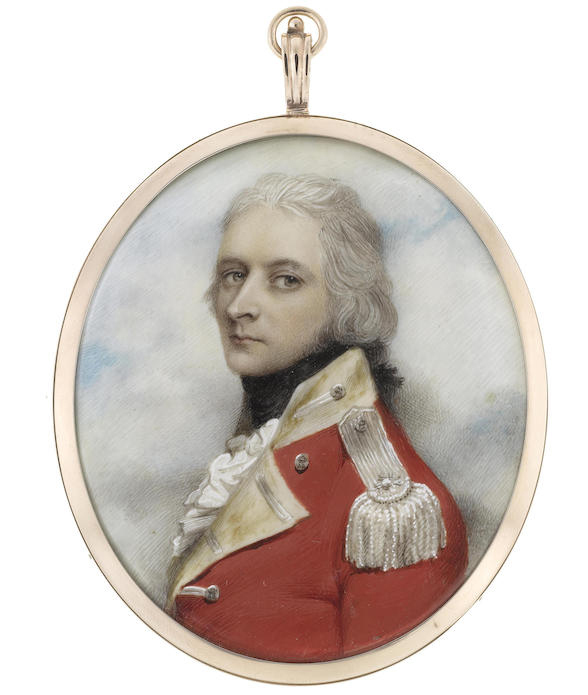 In 1777 he was sent to Gibraltar and worked under Colonel William Green. Five years later he was promoted to First Lieutenant of the Engineers. During the Great Siege (see LINK) Green was made Brigadier General and Holloway became his Brigade Major - an event considered of sufficient importance to be mentioned by John Drinkwater (see LINK) in his definitive book on the Great Siege. Drinkwater also writes that shortly afterwards Holloway became Green's Aide-de- Camp. 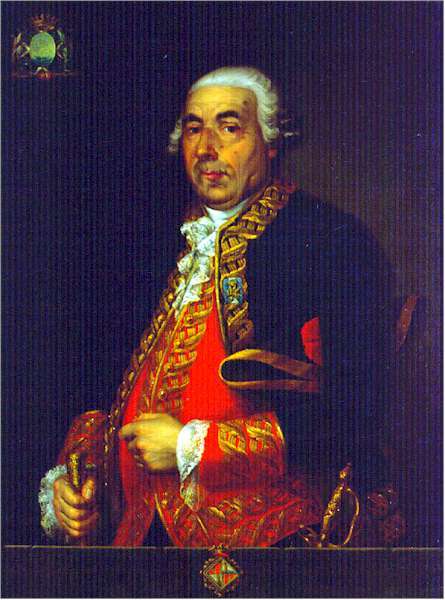 In 1783 Holloway became a Second Lieutenant and appears to have unhappily celebrated his appointment by being wounded by a splinter from one of Admiral Barcelós effective little gunboats. 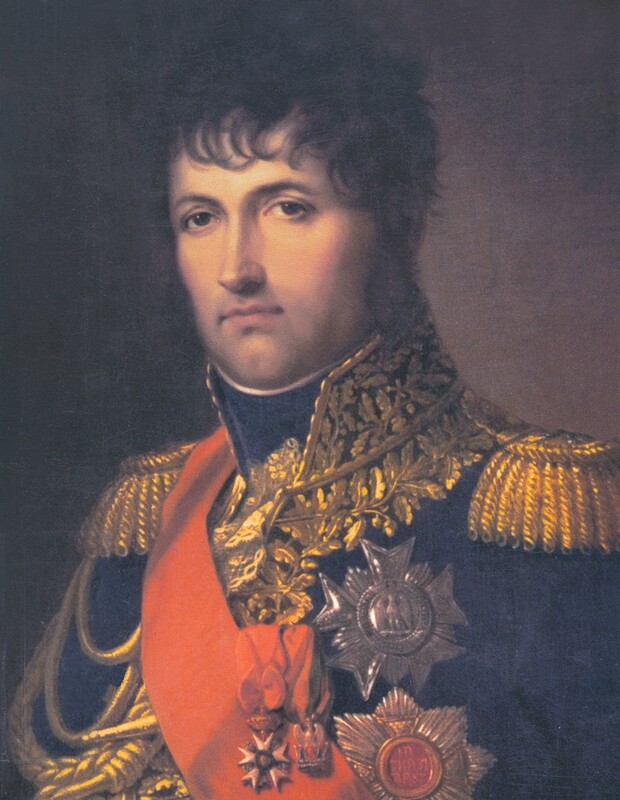 It fell close to the quarters of the Dutch commander on the Rock - General la Motte - and killed two other soldiers. That same year the Governor, General Eliott ordered him to attend parade. He needn't have worried. Eliott simply thanked him publicly for his outstanding services during the Siege. By 1784 he was back in the UK beavering away at whatever the army asked him to do and was rewarded in 1795 when he was made a Captain of a corps 0f Engineers. Three years later he was sent to the "Dominions of the Grand Seignior" - or the Turkish Empire - under the command of General Koehler whom he knew from his Great Siege days. When Koehler died, Holloway took over command. Continuing his varied career with a whole raft of different placements, in 1807 he was asked to prepare himself for a posting to Gibraltar. Probably much to his surprise a few months later he received notice that he had been appointed Commissioner of the Barrack Board. For unknown reasons - perhaps he carried fond memories of the Rock from his previous posting - he declined the appointment and arrived on the Rock in 1807 presumably taking over from Colonel Fyers as Chief Engineer. 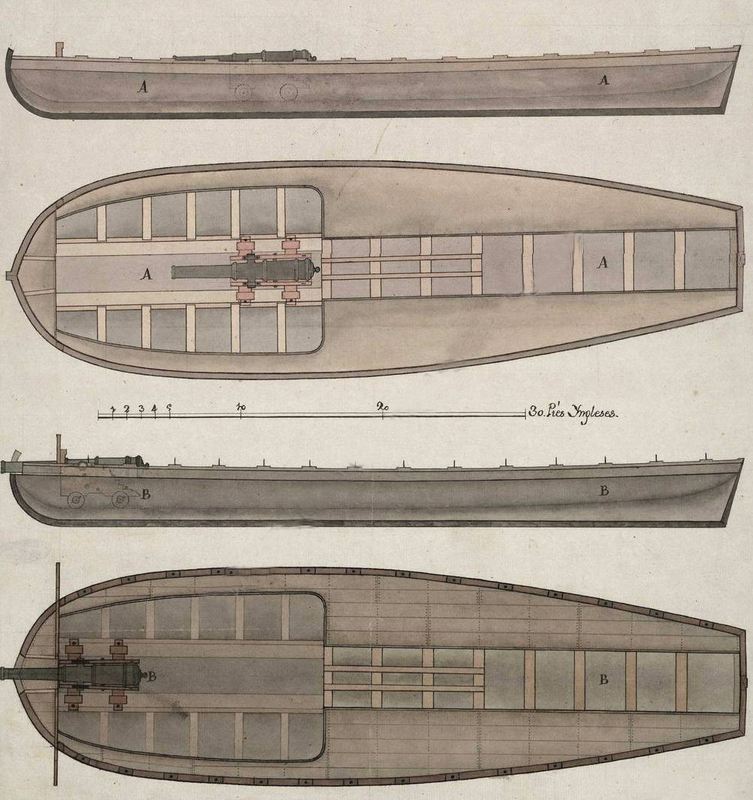 On the 10th (of January) the officers of the dockyard with people employed under them began the destruction of the Lines between the Forts; and the following day, the merchants and other inhabitants of Gibraltar volunteered their services for the same purpose; while the officers and seamen of the Royal Navy and those of the Portuguese Squadron with a few miners proceeded to destroy the Forts and Batteries round the Bay. The mines that were constructing in Forts St Philip and St Barbara being completed on the 14th inst, they were sprung on a gun being fired from the Garrison. The demolition of the Lines is often described in various histories as having been carried out with the consent of the Spanish authorities but there is a remarkable scarcity of primary sources to back this claim. The most likely scenario is that Campbell acted unilaterally. He must have pinned his hopes that his good relationship with Castaños - who was away in Cadiz at the time - would enable him to avoid any repercussions. But there was an ironic finale to the destruction of the Spanish Lines. In 1816 the British Admiral Sir George Cockburn visited Napoleon at St. Helena and among other things asked him what he thought was the strongest fortress on earth. That was not our intention. Things served us quite well as they were. Gibraltar is of no use to you. It defends nothing. It intercepts nothing. It is simply an object of national pride which costs the English a great deal and wounds the Spanish nation greatly. We would have been quite stupid have destroyed such a combination. In 1811 Campbell once again showed his distrust of the local population. He asked Holloway to help him produce a scatterbrained plan which involved the improvement of the Northern defences in anticipation of any French attack. The plan included the levelling of demi-bastions, the digging and flooding of ditches and the creation of floating bridges among a whole series of other complex and expensive proposals. But the one that hits the reader right in the eye was the plan to reinforce the walls of the Moorish Castle (see LINK) so that guns could be mounted facing and commanding the town. Holloway sent the overall proposal to London where it was ripped to shreds by a committee which was set up check its feasibility and which included Colonel Fyers who had been Holloway's predecessor. 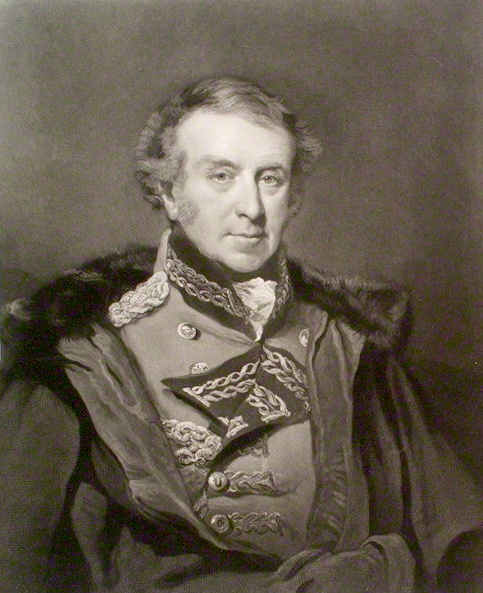 Less than 20 years later in 1830, Gibraltar had its own police force just 9 months after Sir Robert Peel had founded the Metropolitan Police in London.